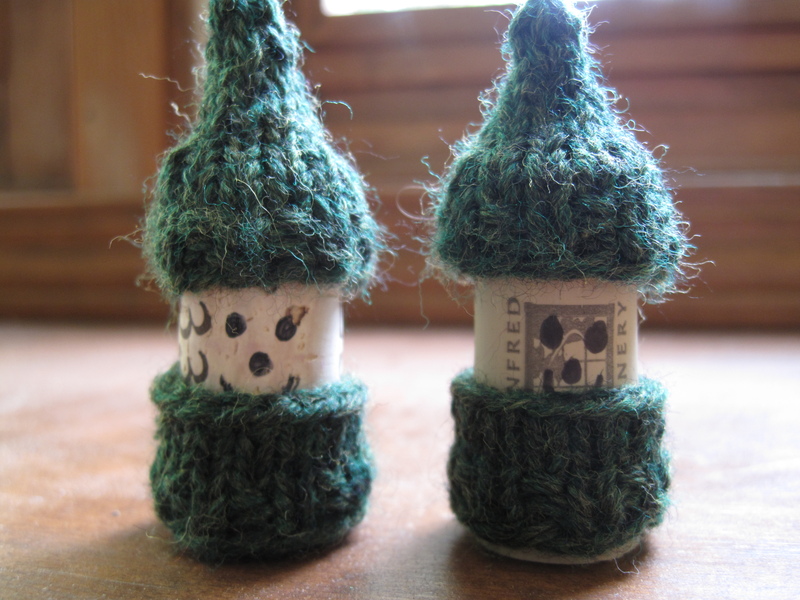 For some time, I have been saving my wine corks. I knew just what I would use them for someday. Finally, that day arrived. There are only two so far, but they will be multiplying soon. It's my new friends, Korknisse! This pattern is super quick (and free!). 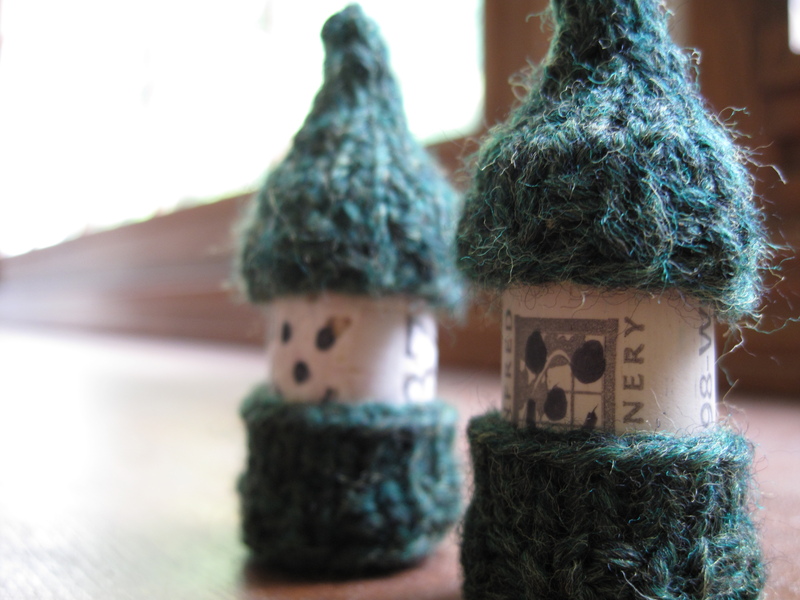 I knit these two guys in just under an hour. For mine I used some leftover Cascade 220 Heathers and some US Size 3 dpns.